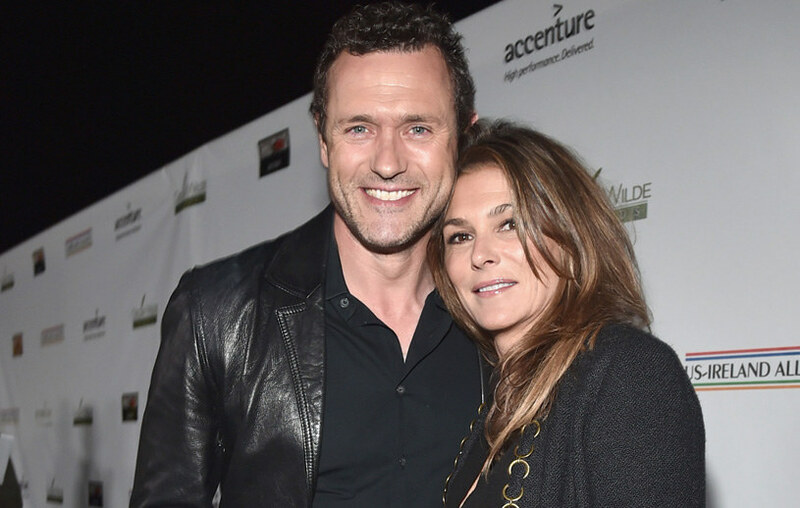 Who is Paige Turco, the Teenage Mutant Ninja Turtle Actress? Home Actresses Who is Paige Turco, The Teenage Mutant Ninja Turtle Actress? Some artists who have recorded notable success as actors and actresses in the entertainment industry went into acting as a result of happenstance. One of such celebrities is Paige Turco who was forced to re-evaluate her career choice as a classical ballerina, due to an ankle injury. Paige went ahead to study drama at the University of Connecticut and today, she is one of the notable artists in the world of entertainment. The celebrated actress has made several appearances in some popular films as well as television series and her popularity has continued to grow as she strives to attain higher heights in her career as an entertainer. Her acting debut was achieved on the set of the 1989 Guiding Light but she became popular for her role in the Teenage Mutant Ninja Turtles II: The Secret of the Ooze. Paige Turco was born on the 17th of May 1965 in Springfield, Massachusetts, to her parents David Vincent Turco, her father and Joyce Jean (Jodoin), her mother. She was raised by her mother and grandparents when her father died of a brain hemorrhage at the young age of 27. Her aspirations as a child were to become a classical ballerina, and for this reason, she started attending ballet classes at a young age. Her early education can be traced to Kiley Junior High School where she actively worked in the school’s television station and helped out in the library. Paige Turco played the flute as a member of the school band. Turco attended Walnut Hill School of performing arts in Natick, Massachusetts where she studied for a degree in Ballet. While she was a student, she put up some performances as a soloist in places like the Amherst Ballet Theatre Company, the New England Dance Conservatory, as well as the Western Massachusetts Ballet Company before She was stopped by an ankle injury. Paige turned to acting and in 1987, she graduated from Bay Path College Longmeadow, Massachusetts. She did her major in acting at the University of Connecticut. The famed actress debuted on the set of Guiding Light, a television series where she was cast in the role of Dinah Chamberlain. 1989 saw her make an appearance in All My Children, a famous American soap opera. Before then, Paige Turco was with the cast of a known American horror series titled American Gothic (1995). Paige has made appearances in TV series like The Fugitive (2000), Rescue Me (2006), Taking Chance (2009), Law and Order: Special Victims Unit (2001), Big Shots (2007), NCIS: The New Orleans (2014) and many others. Paige’s movie debut was made in 1991 on the set of the film titled Teenage Mutant Ninja Turtles II: The Secret of the Ooze, where she arrived as April O’Neil. She was also part of the Teenage Mutant Ninja Turtles III. She also made appearances in a couple of movies in 1995. The independent drama film known as Urbania featured her as Cassandra in 2000. Turco’s other movies include; The Stepfather (2009), Dead Dog (2001), The Game Plan (2007), Invincible (2006), and Rhinoceros Eyes (2003). She has been playing a recurring role as Dr. Abigail Griffin in the science-fiction Drama television series known as The 100. Though her salary is not currently accessible, Paige Turco’s estimated net worth has been pegged at a tidy $5 million by a reliable source. The amount of wealth she has accumulated is an indication that her salary is a huge one. Paige’s ex-husband is Jason O’Mara, an Irish actor. The duo were joined in matrimony in September 2003. Their only child David who is named after Paige’s dad was born in February 2004. The couple lived together for 14 years before deciding to separate in May 2017. They have since started an official divorce proceeding citing irreconcilable differences as the reason for their divorce. On her own part, Paige Turco requested for joint physical and legal custody of their son with spousal support from Jason. It would appear that Jason has something in common with his ex-wife Paige; both experienced similar career reversal during their formative years. Paige was forced to end her promising career as a ballerina because of a broken foot at the age of 14. As for Jason, he was really active in Rugby till he got sidelined by a serious injury. While he was on recuperation, he tried out for a school drama and has never stopped. When it comes to height, Paige Turco can be described as average. She stands at a height of 5 feet 4 inches or 1.63m. Her general body measurement is listed as 36-26-35 which is broken down as 36 for bust, 26 for waist and 35 for her hips. Paige weighs 50 kg in body mass and wears a bra size of 34B.